▪Suzuki Airi shared this large 2-shot with Maimi in her update on the official ℃-ute blog. 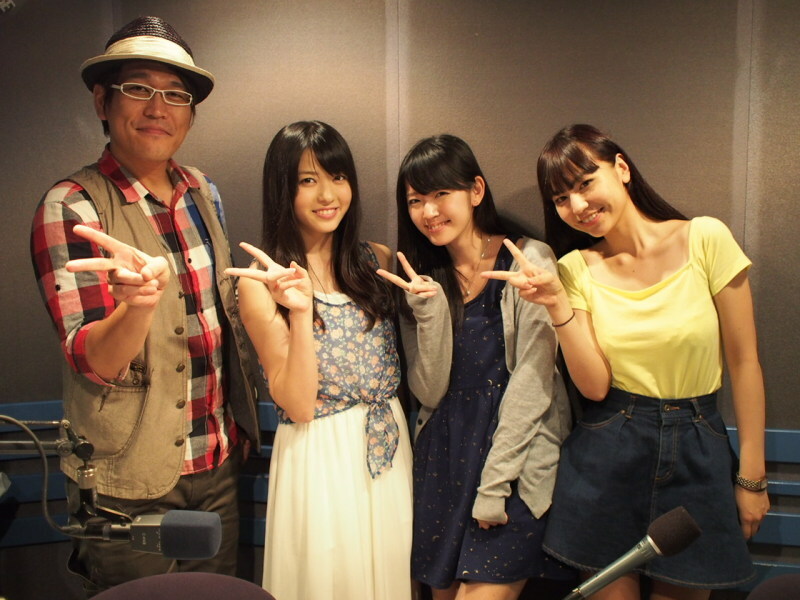 ▪The NACK5 “Onitama” blog uploaded a shot of Yajisuzu along with the radio program’s hosts. ▪The latest edition of the YouTube program “Hello! Station” has been uploaded to the channel of the same name, and features footage of Maimi and the girls in France at around the 21 minute mark. Posted on July 17, 2013, in Articles, Video and tagged Suzuki Airi, Yajima Maimi. Bookmark the permalink. 1 Comment.